So, what the heck is up with that? 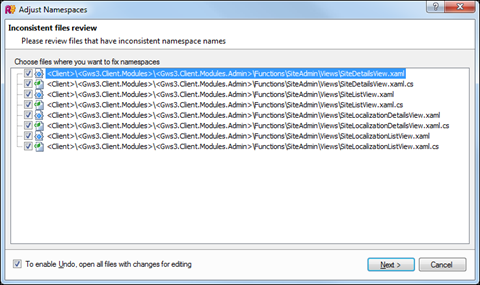 This seems to appear when you move columns around or change the “Allow Nulls” setting. 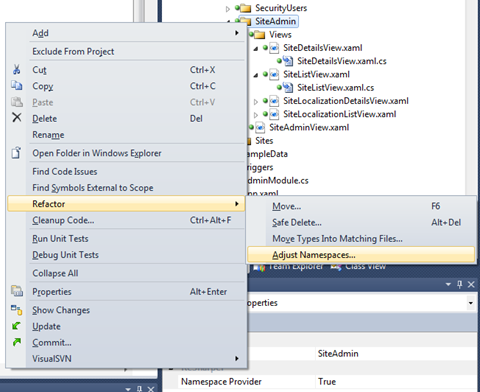 I know I could do this in earlier version of Visual Studio so why can’t I do it anymore? 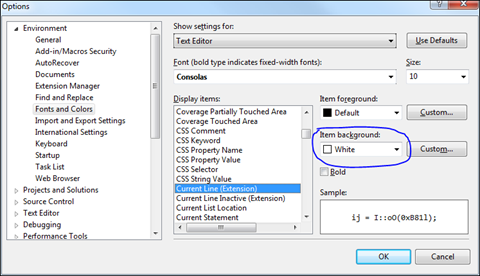 Yes, I know I’m changing the table structure fundamentally but I know what I’m doing and it should be safe to do it – just let me save please! 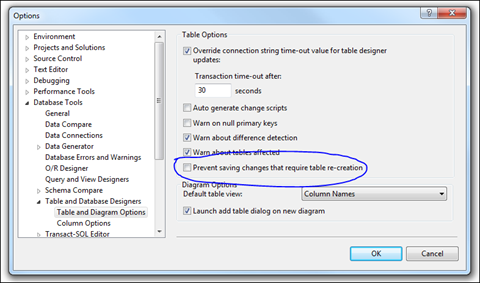 Does this mean that you entire table data will be erased when you make a change? No, certainly not! 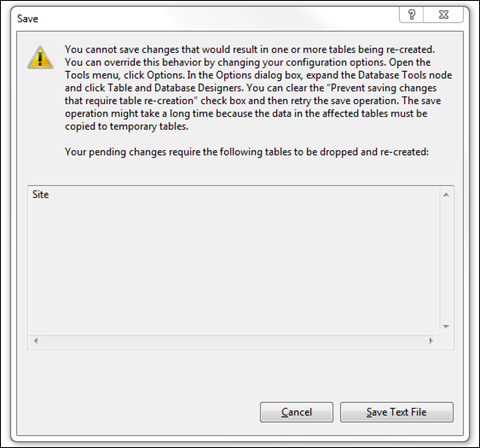 All it means is that your data will be copied to a temporary table and then copied back when the table has been altered. I guess this is how it has always worked but before you never had to bother about it – it just worked. 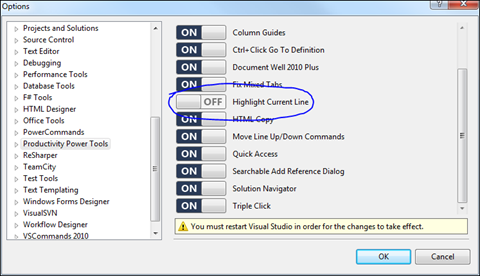 Well, thanks to this little option it now works again!